On 3 November, IITA-Malawi hosted a delegation from the Department of Agriculture–Foreign Agriculture Service (USDA-FAS) and the US Embassy in Malawi who came to find out about IITA’s work in the country, particularly on aflatoxin research and Aflasafe development. The delegation was headed by the Deputy Administrator of the USDA-FAS, Office of Capacity Building and Development (OCBD) Ms Jocelyn Brown. She was accompanied by Ms Holly Monster, Economic and Commercial Officer, US Embassy; Mr John Ellenberger, Senior Vice President, Land O’ Lakes International Development; and Mr Timothy Nzioka, Land O’ Lakes Country Director and MSIKA Chief of Party. Also in attendance were Ms Naomi Kamanga, MISST Chief of Party, and scientists from IITA and the Department of Agricultural Research Services (DARS). Visitors at the IITA Malawi Station. The delegation was welcomed by David Chikoye, IITA Regional Director for Southern Africa, who briefed the group about IITA’s work in the region. This was followed by a short talk by Arega Alene, IITA-Malawi Country Representative, about the ongoing research activities at the station. Dr David Kamangira, DARS Deputy Director, discussed the government’s role in technology development and regulation. In the case of Aflasafe, he emphasized that it must go through the Agricultural Technical Clearing Committee (ATCC) for evaluation before release. Joseph Atehnkeng presented on the development of Aflasafe MW02 (Malawi-specific product) and Aflasafe MWMZ01 (regional product), which he said had been evaluated in farmers’ fields for the past two years. He added that both products have been shown to reduce aflatoxin by up to 99% in maize and groundnut. After data analysis is completed, a complete dossier for registration will be submitted to the ATCC for review and registration. The mode for commercializing the Aflasafe products will then be determined by the local stakeholders. Jocelyn Brown (second from right) listens to a technician’s briefing during the lab visit. Brown, in her remarks, said that research was key to achieving food security and safety. She commended IITA in Malawi and partners for the outstanding work being done on aflatoxin and Aflasafe development. She emphasized that aflatoxin is not only a problem in Africa, but also in the USA. She was keenly interested in the Aflasafe commercialization models and opined that the private sector is key to technology transfer and adoption. She was especially impressed with the results of the initial efficacy field trials, and encouraged IITA and DARS to work together to have Aflasafe in the hands of farmers as soon as possible. 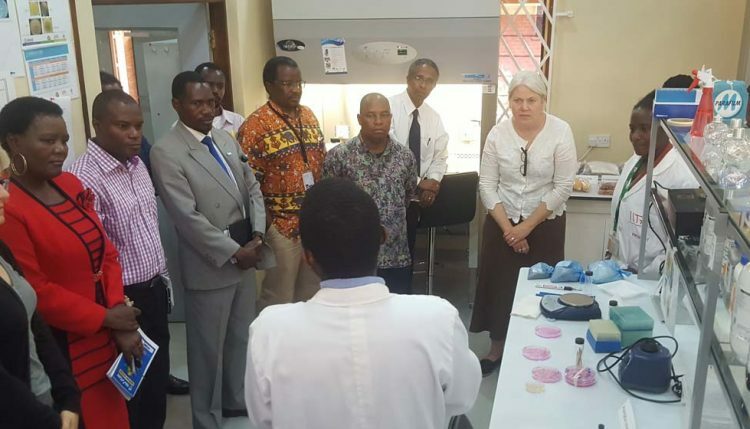 To assist in this process, USDA-FAS, working with the Malawi national program, African Agricultural Technology Foundation (AATF), and IITA, is providing guidance for harmonization of biopesticide registration in Malawi. After discussions, the delegation toured the Aflasafe training and research laboratory at DARS. Aflatoxin is a poison produced by Aspergillus fungi which resides in the soil and in dead or decaying organic matter in the field. Exposure to aflatoxin-contaminated food increases the risk of liver cancer, suppresses the immune system, retards growth in children, and reduces the quality of crops which leads to low market values. 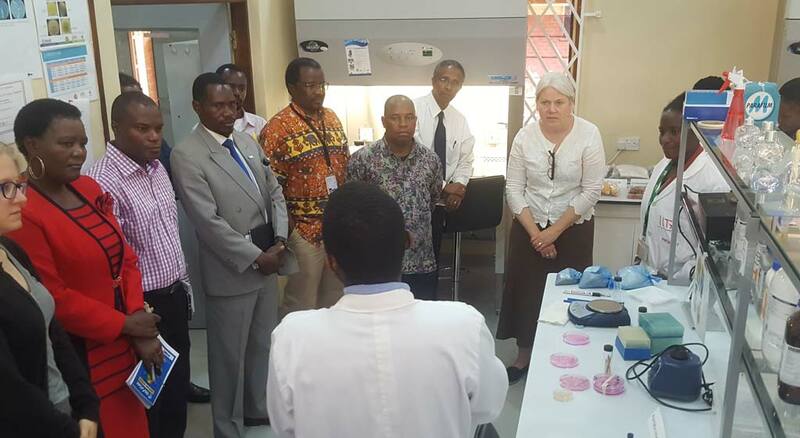 IITA-Malawi, with current funding from USAID and past funding from USDA-FAS and technical backstopping from USDA-ARS, is implementing research work on aflatoxin and development of Aflasafe. Breaking news: TAAT has been approved!